Explore the incredible attractions of stunning Scandinavia, from the spellbinding fjords of Norway to the dramatic, untamed panoramas of Swedish Lapland and the Land of the Midnight Sun. 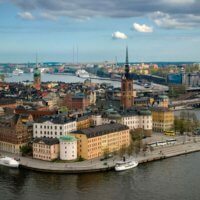 This 21-night adventure also takes in the vibrant capital cities Copenhagen, Stockholm and Oslo en route northwards beyond the Arctic Circle on some of the world’s most scenic railway journeys. 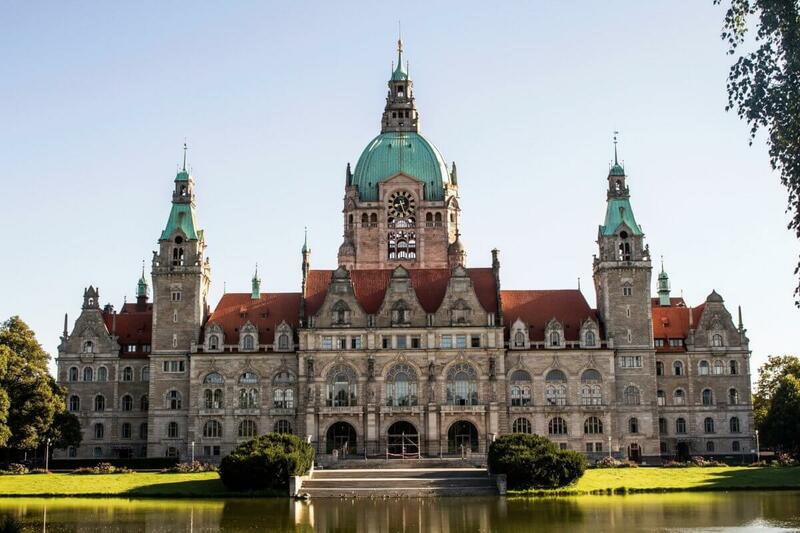 Experience contrasting scenery during your epic adventure that includes some time in Germany, namely the attractive city of Hannover and the lively port of Hamburg along with the fascinating boat train across the Baltic. 21 night holiday by First and Standard Class rail, bus and ferry journeys including 1 night in Hannover, 2 nights in Copenhagen, 2 nights in Stockholm, 1 night in Ostersund, 1 night in Gallivare, 2 nights in Narvik, 2 nights in Trondheim, 2 nights in Geiranger, 1 night on board the Hurtigruten ferry from Alesund to Bergen, 2 nights in Bergen, 1 night in Flam, 2 nights in Oslo, 1 night in Copenhagen and 1 night in Hamburg. 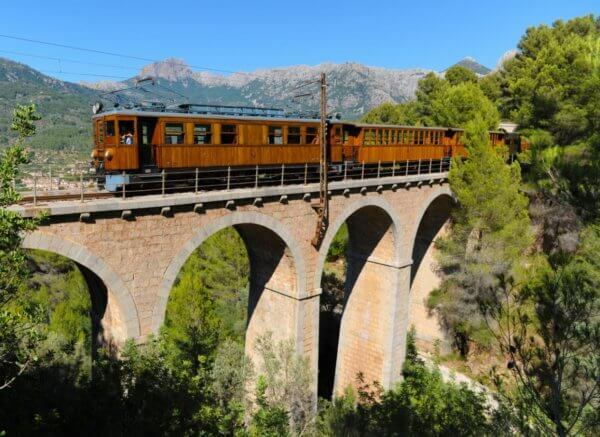 Please note that it is possible to follow the itinerary exactly as shown between June and August, owing to the seasonal operation of some transport. It is certainly possible to visit the same places at other times of the year, but alternative routes may be necessary. 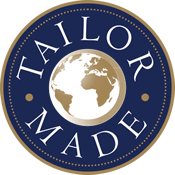 Price from £3,495 per person (based on two sharing). Your holiday begins as you make your way into the stunningly restored St. Pancras International station. Let the holiday mood take over as you board the Eurostar service for the high-speed journey to Brussels in barely two hours. Sit back and relax in your spacious Standard Premier Class seat and make the most of the light meal and drinks. On arrival in Brussels make your way through Brussels station to the Inter City Express platform to join the stylish ICE service to Cologne. In Cologne you change again for another ultra-modern ICE service to Hannover. As you arrive in Hannover make your own way to your hotel for the night, the comfortable and welcoming Hotel Crowne Plaza Hannover (4 star). After settling in, perhaps take a stroll around the city and admire the classical architecture. This morning after breakfast make your own way to the station to board the ICE train to Hamburg. Here you change trains for the journey north by another ICE service to Copenhagen, during this journey you have the unique experience of the boat train as you cross the Baltic and continue to Scandinavia. On arrival in Copenhagen (Kobenhavn H) station you are making your own arrangements to the stylish and highly rated Hotel Andersen (4 star), ideally located close to the centre of this fascinating city, for your two-night stay. Choose from an array of restaurants close to your hotel for dinner. 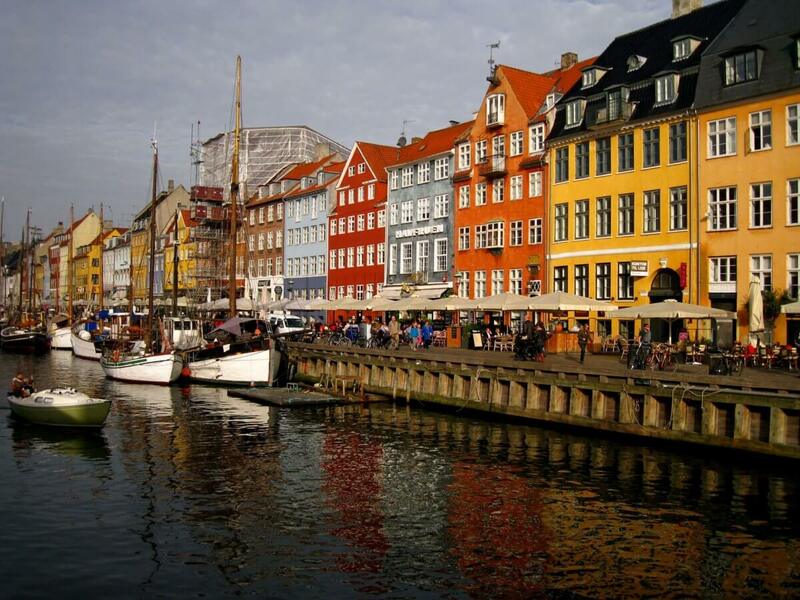 Take time to explore the many varied attractions to suit everyone’s taste in Copenhagen. 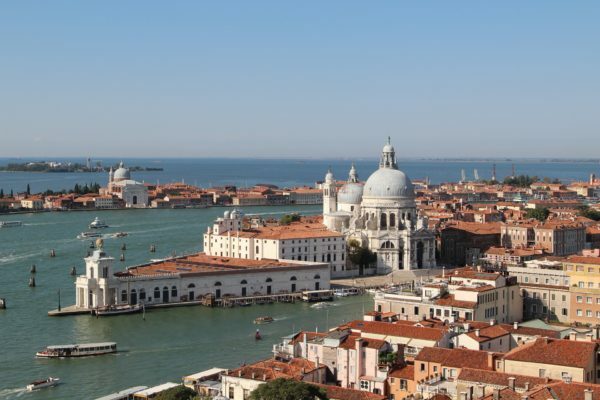 You might enjoy a boat trip along the canals and around the harbour to see the city from a different perspective. 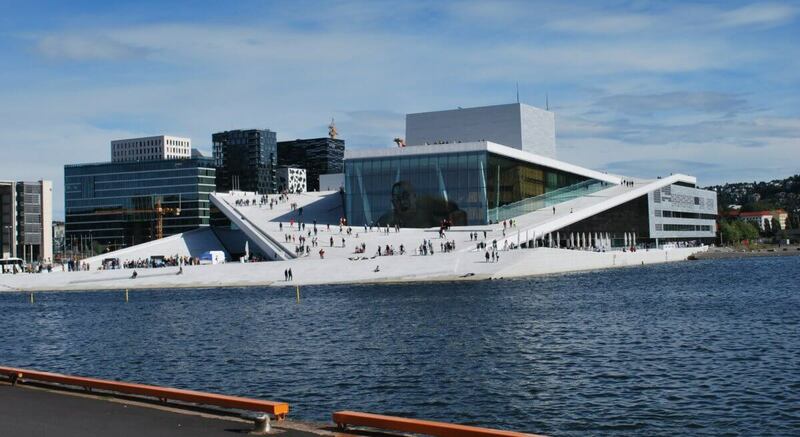 During your trip you might see a few of the city’s most famous landmarks including the Copenhagen Opera House and Christiansborg Palace which is located on the tiny island of Slotsholme, you can also take a stop off at the Little Mermaid monument. Perhaps visit the Amalienborg Palace, considered one of the greatest works of Danish Rococco architecture. The Queen’s residence is made up of four identical buildings spread around the octagonal courtyard. You could also visit the famous Tivoli Gardens, the fascinating, quirky ‘free town’ of Christiania or spend some time exploring one of the city’s world-class museums and art galleries. Enjoy a leisurely breakfast this morning before your onward journey on the high speed train to Stockholm. Your journey includes the Oresund Bridge linking Denmark to Sweden, at 5 miles in length it is the longest combined road and rail bridge in Europe. 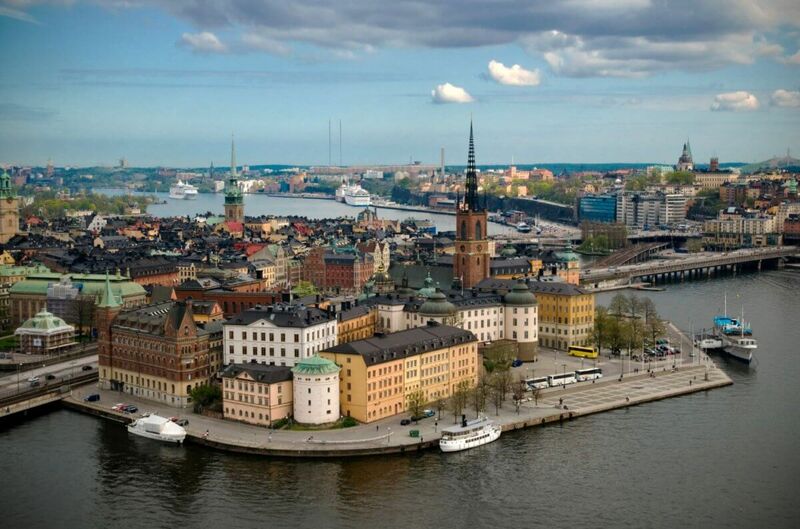 On arrival in Stockholm station you are making your own arrangements to your hotel for the next 2 nights the Radisson Blu Waterfront (4 star), a highly rated hotel, ideally located for discovering the city. Sweden’s capital spreads out over 14 islands in Lake Mälaren and looks out proudly to the Baltic Sea to the east. 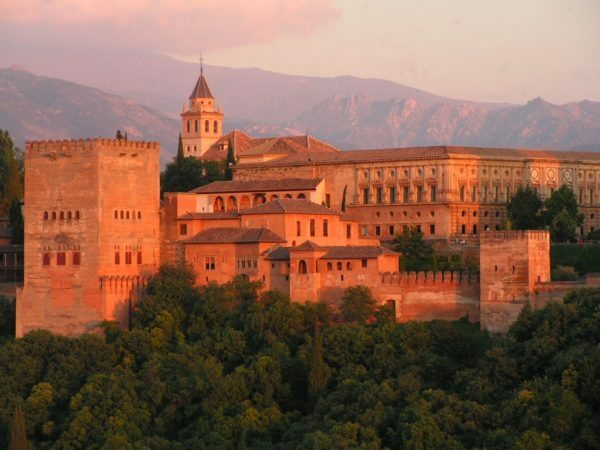 The city’s grand public buildings, palaces, rich cultural history and museums tell its 700-year-old history beautifully. Nowhere is this better illustrated than in the Old Town (Gamla Stan) where you can wander along the cobblestone streets and admire the crooked, but beautifully preserved buildings, the Royal Palace and gothic churches. Why not stop and enjoy a coffee or drink in one of the excellent cafés or bars. Stockholm has many boutiques, shops and stores of upscale Swedish and international design on Östermalm, and independent Swedish labels, vintage and retro shops and boutiques on Södermalm. If you’re a fan of Stieg Larsson’s Millennium Trilogy books and movies Södermalm is the place to be because this is the setting for the Millennium Tour. This morning after breakfast make your own way to the station to board the IC train for the service north through Swedish countryside to the charming city of Östersund. On arrival you are making your own arrangements on foot or by taxi/public transport (payable locally) to the comfortable and highly rated Clarion Hotel Grand Östersund (4 star), ideally located in the centre of Östersund and your hotel for the night. This afternoon you might like to discover the sights and surroundings of Östersund, Jämtland’s only city, situated on the eastern shore of Lake Storsjön. Perhaps most famously known for the 400-year-old legend that there is a storsjöodjuret, or lake monster, living in the lake. Östersund is perfectly situated for hiking trails nearby as well as recreational paths along the lake. You might like to explore the moose garden, the Frösö zoo, city museum or venture further to discover the Frösö Runestone – the northern most raised runestone in the entire world. 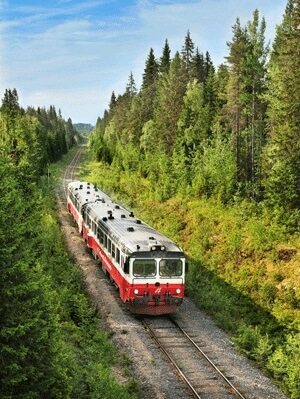 This morning after breakfast make your own way to Östersund station and take the Inlandsbanan tourist train around lakes and forests on the epic journey to Lapland. The train makes stops along the way for you to buy food and take photographs. After crossing the Arctic Circle into the ‘Land of the Midnight Sun’ you arrive into Gallivare station where you are making your own way to the hotel for your overnight stay, the comfortable and stylishly designed Hotel Scandic Gallivare (3 star). This morning you have some free time to admire Gallivare and the world heritage Laponia, which includes national parks; Sarek, Padjelanta, Stora Sjofallet and Muddus, as well as parts of the nature reserves Sjaunga and Stubba. You might like to relax and make use of the hotel facilities before lunch. 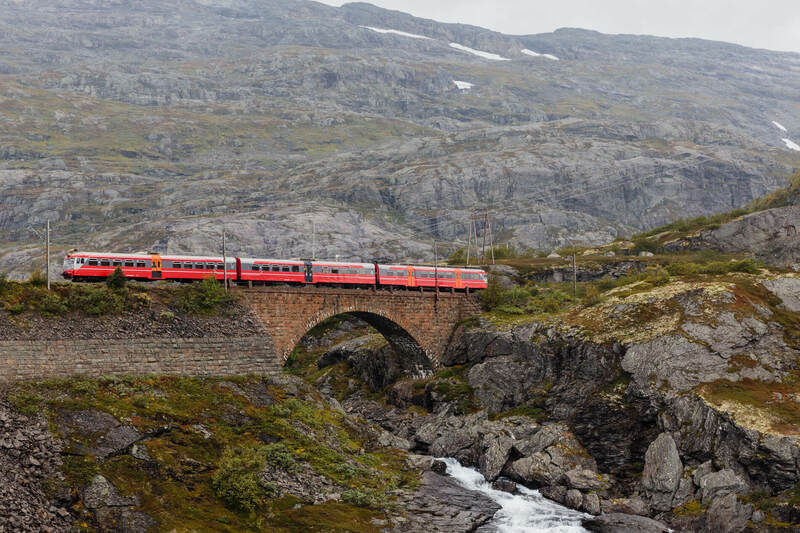 Then make your way to the station where you join one of the world’s most northerly lines for the journey on the Ofoten Railway through spectacular scenery, passing sheer drops down to fjords and dramatic mountains before you arrive into Narvik. Here you are making your own arrangements to the modern and highly-rated Scandic Narvik Hotel (4 star), ideally located in the centre of Narvik, and your hotel for the next two nights. You have a full day to explore Narvik, an ice-free seaport 250 miles north of the Arctic Circle. One of the most important sights in Narvik is its Red Cross War Memorial Museum, which documents the wartime occupation of Narvik by the Germans and the bitter air and sea battles that took place for control of the harbour and the iron ore supplies, which became ever more important as the war progressed. Also worth a visit is the Ofoten Museum, housed in the old NSB Railway Administration building, which features exhibitions relating to local cultural history including the construction of the magnificent Ofoten Railway. This morning after breakfast make your own way to Narvik Rutebilstajson (bus station) for the journey by bus along the coast to Fauske. Here you continue your journey by rail, leaving the Arctic Circle before arriving into the coastal city of Trondheim. On arrival into Trondheim station this evening make your own way the short distance to the modern and stylish Clarion Hotel & Congress (4 star), ideally positioned to offer Trondheim Fjord views, and your hotel for the next two nights. Trondheim, founded in the year 997 AD was the capital of Norway up until 1217 and is now Norway’s third most populous city. 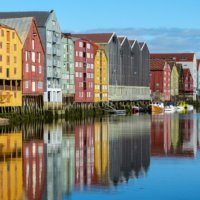 You might like to start with a stroll through Trondheim’s town centre which hosts a great range of independent shops and stores, shopping centres, pubs and restaurants. One of the biggest attractions is “Nidarosdomen”, Scandinavia’s second largest cathedral after Uppsala Domkyrka. Alternatively, you might like to visit “Rockheim”, an interactive music museum which showcases Norway’s musical history and where you can navigate between different media, sounds, images and videos. To view Trondheim from a different perspective you might like to take a boat trip to the historical island of Munkholmen. This morning after breakfast make your way to Trondheim station for the journey south through some spectacular mountain scenery to Dombas, housed in the beautiful Dovrefjell mountain area. On arrival into Dombas station change trains for a stunning 114.5 kilometre journey along the Rauma railway through jagged mountain peaks to Andalsnes. Here you join the bus service for a yet another scenic journey along “The Golden Route”, where you will experience two of the most incredible roads in Northern Europe. The trip starts at Andalsnes, curves up the hairpin turns of the famous Trollstigen, where the bus stops for 25 minutes at the Trollstigen plateau, enabling you to enjoy the spectacular view. After the break the bus continues towards UNESCO World Heritage listed Geiranger. Here you are making your own arrangements for the short journey to your hotel for the next 2 nights, the highly-rated and comfortable Hotel Union Geiranger (4 star), a spa hotel beautifully positioned overlooking the Geiranger Fjord. The deep blue UNESCO-protected Geirangerfjord is surrounded by majestic, snow-covered mountain peaks, wild waterfalls and lush green vegetation. You will have a full day to admire the glorious surroundings. Impressive waterfalls cast cascades of thundering water from almost vertical mountain sides among them the famous falls, De syv søstrene (“the Seven Sisters”), Friaren (“the Suitor”) and Brudesløret (“the Bridal Veil”), and tease the cliffs with feather‐light gossamer veils of mist whose mission seems to be to create a never‐ending display of constantly changing rainbows to fill you with delight and wonder. You might also like to experience the fjords and the waterfalls from one of the many available sightseeing trips, go hiking in stunning surroundings or experience the fjords from a new perspective in a kayak. Other popular activities in the area include fishing, rafting and cycling. 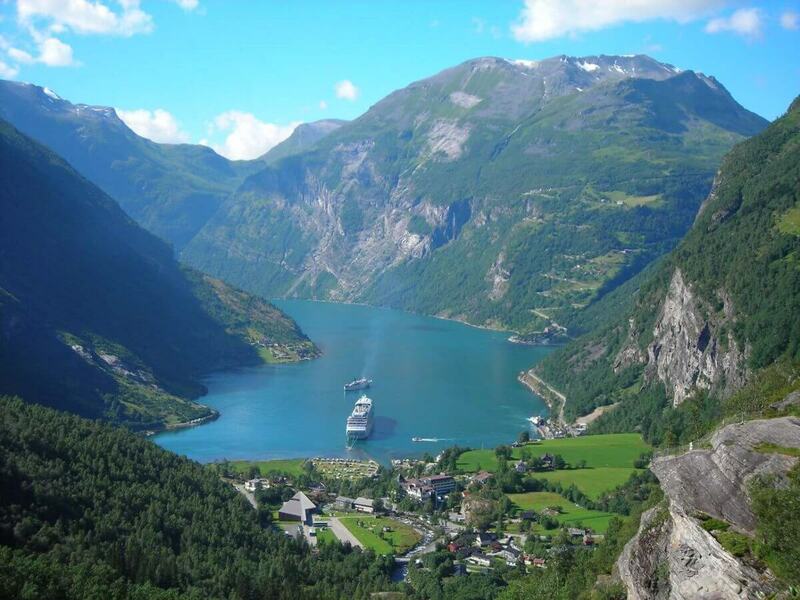 Savour your final morning in Geiranger before making your way to the Hurtigruten Ferry Port. Please ensure that you arrive between 30-45 minutes prior to the ship’s departure. Here you embark on a journey through the Geirangerfjord, passing a wonderful array of waterfalls and various farms clinging on to the mountainside. As you begin to leave the Geraingerfjord you pass many lively small towns and villages, such as Sula on the fjord’s north bank, and the settlements that once were centres for Artic seal hunting. You arrive into Alesund, where you have some free time to explore the charming sea port before making your way back to the Hurtigruten Ferry Terminal for your overnight journey south along the west coast of Norway. This morning you awake in the comfort of your cabin to the passing scenery of the rugged Norwegian coastline. You arrive into Bergen in the afternoon, where you make your way to your hotel for the next two nights, the modern and stylish Thon Rosenkrantz Hotel (4 star), ideally located in the centre of Bergen. 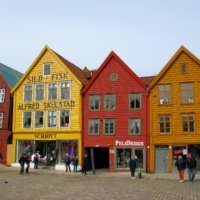 This afternoon why not take some time to familiarise yourself with Bergen and perhaps enjoy some seafood at the picturesque and lively Fish Market? Enjoy a day to explore the delights of Bergen, Norway’s second largest city, but with the small-town charm and atmosphere. 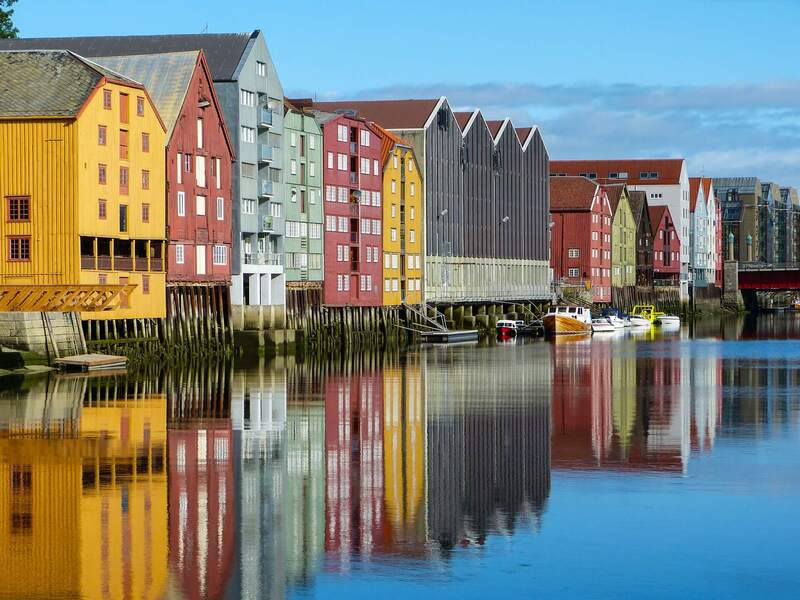 Bergen has a wealth of attractions on offer, which include museums, art galleries, cultural events and dining opportunities, as well as the possibilities offered by its accessible sea and mountains. 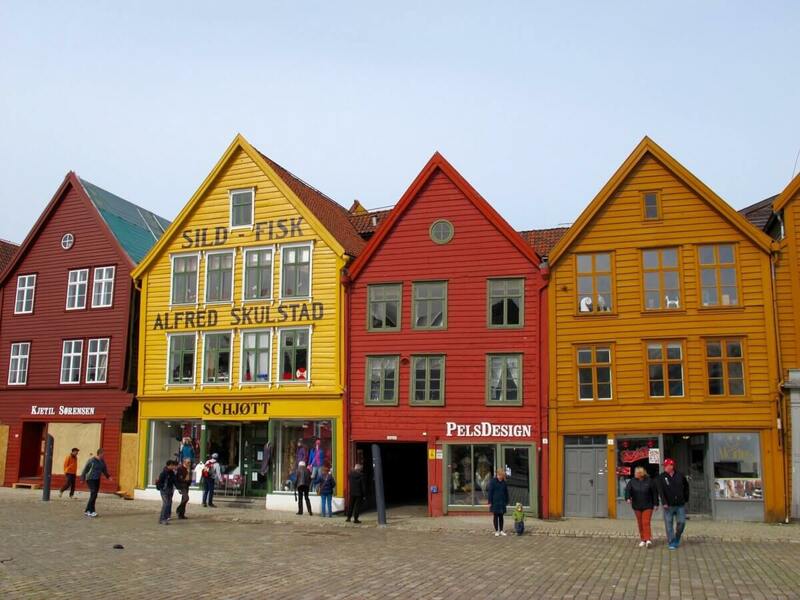 Founded more than 900 years ago, Bergen has roots to the Viking Age and beyond. As one of the main offices of the Hanseatic League, Bergen was for several hundred years the centre of prosperous trade between Norway and the rest of Europe. Bryggen, (“The Hanseatic Wharf”) is the most obvious remnant from this time, and is today home to many of the city’s restaurants, pubs, craft shops and historical museums. You might like to take the cable car to the highest of Bergen’s famous ‘Seven Mountains’. The tour takes you to spectacular scenery and mountain terrain 643 metres above sea level giving you fabulous vistas of the coastline and city below. This morning after breakfast make your way to Bergen station to begin your scenic rail journey by rail to Voss. At Voss station you continue your journey by bus through charming villages and scenic nature landscapes, towards Gudvangen. The bus may take you through the steep hairpin bends of Stalheimskleiva. 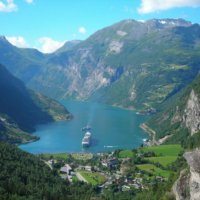 On arrival in Gudvangen make your way on foot to Gudvangen dock, where you continue the tour by taking a majestic fjord cruise on the narrow Nærøyfjord and the magnificent Aurlandsfjord. The Aurlandsfjord is a picturesque fjord that offers stunning views, while the Nærøyfjord is a dramatic fjord surrounded by high mountains. Nærøyfjorden is one of the narrowest fjords in Europe and included on UNESCO’s World Heritage List. After your fjord cruise you arrive in the small village of Flåm, nestled in the innermost part of the Aurlandsfjord. Here you are making your own way the short distance to your hotel for your overnight stay, the cosy and highly-rated Flamsbrygga Hotel (3 star). This evening you might like to relax and admire the Aurland Fjord and surrounding mountains. This morning after breakfast make your way to Flåm station to board the legendary Flam Railway, for the spectacular panoramic journey to Myrdal, through some of the wildest and most magnificent nature in the Norwegian fjord landscape. 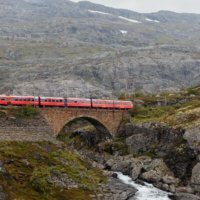 On arrival into Myrdal station you change trains to the Bergen Railway for the journey through scenic mountain terrain to Oslo. Here you are making your own way to your hotel for the next two nights, the modern and highly rated Hotel Rosenkrantz (4 star), centrally located in Oslo. Oslo is a vibrant city with much to offer, it is the oldest of the Scandinavian capitals and its history goes back a 1,000 years. The city is characterised by a mix of old and new architecture, parks, hills, museums, monuments, lakes, forests and the 40 islands in the fjord. Take time to visit the Akershus Fortress, or the unique sculpture park ‘Vigelandsparken’, with more than 200 sculptures in bronze, granite and cast iron. 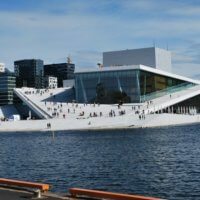 The Viking Ship Museum presents the world’s two best-preserved 9th century wooden Viking ships and the key attractions at the National Gallery include Edvard Munch’s The Scream and Madonna and paintings by Cézanne and Manet. Relax and take a ferry around the islands in the Oslo Fjord, they are popular places to go swimming in the summer, but each island has its unique character and history worth exploring. Oslo has an excellent array of shops and in the evening chose from the many restaurants for your evening meal, where you can relax and reflect on your day. Today you have some more free time to take in the last sights of Oslo and enjoy a leisurely lunch before making your way back to the station to board the Regional service as you travel south from Norway, into Sweden and onto Gothenburg. Here you change trains for the onward journey south, into Denmark and back to Copenhagen, where you are making your own way back to the Hotel Andersen (4 star) for your overnight stay. This morning after breakfast make your way to Copenhagen (Kobenhavn H) station were you join the ICE service for the journey south to Hamburg, where you spend tonight at the comfortable, well-regarded Europäischer Hof Hotel (4 star) conveniently located right next to the station. 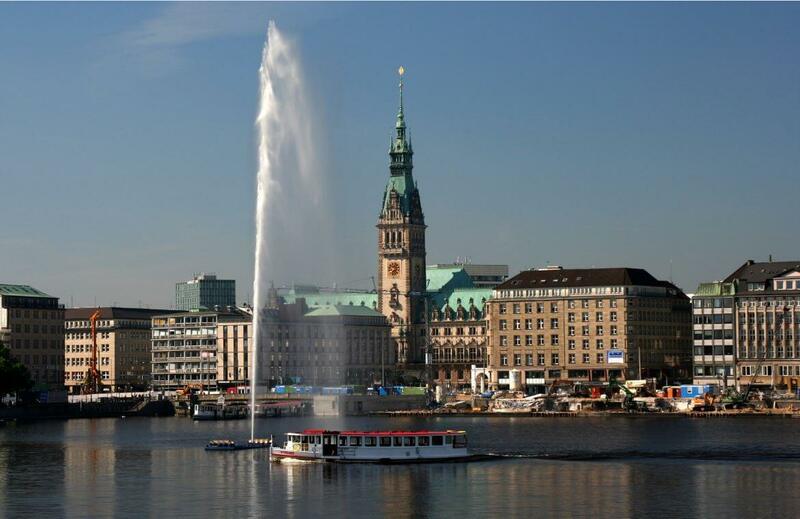 You are then free to discover more of this lively port city, which is one of the largest cities in Germany. There is much to discover; perhaps follow the Beatles trail and find out more of their story in the city where they played some of their earliest gigs before their meteoric rise to stardom. There are many exciting neighbourhoods in Hamburg, from the harbour to the downtown, and each area is dotted with lush parkland and lakes, making it a joy to stroll around. Today after an early breakfast make your way back to Hamburg station for the start of your journey back to London. You travel on the Euro City service to Cologne where you change trains and continue to Brussels aboard a stylish ICE train. On arrival at Brussels Midi station make your way to the Eurostar terminal to board the Eurostar service. Let the train take the strain as you stretch out and relax over a light meal and drinks in your Standard Premier Class seat. At 186mph the landscape is a blur at times, though memories abide as you return to London St. Pancras International and on to the final stage of your journey home. First and Standard Class rail from London to Hannover, Hanover to Copenhagen, Copenhagen to Stockholm, Stockholm to Ostersund, Ostersund to Gallivare, Gallivare to Narvik, Fauske to Trondheim, Trondheim to Andalsnes, Bergen to Voss, Flåm to Oslo, Oslo to Copenhagen, Copenhagen to Hamburg and Hamburg to London (NB. 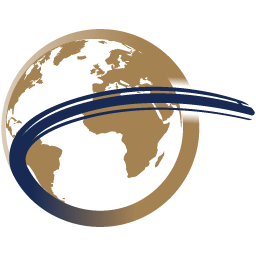 These journeys are all in First Class or its equivalent – such as Standard Premier Class service on Eurostar – for all journeys. Standard Class is included only when there is only Standard Class in operation on the train). Located just 400 metres from Hannover Central Station, the Hotel Crowne Plaza Hannover (4 star) hotel offers free spa facilities, an award-winning restaurant, and stylish air-conditioned rooms with flat-screen TVs and hot drinks facilities. International specialities are served in the Crowne Plaza's restaurant with separate smoker's lounge. During summer months, the delightful terrace is a great place to dine. A range of drinks and snacks are available in the lobby bar and live sporting events are also shown on the large TV in here. Guests have free use of the gym, sauna and steam room in the modern Beauty & Wellness centre. For an extra fee, guests can use the solarium or book a range of spa treatments. The Hotel Andersen (4 star) is set in the trendy Vesterbro district, just 200 yards from Copenhagen Central Station. The boutique hotel offers 73 light and modern rooms, with décor by award-winning company Designers Guild. Each soundproofed room features an LED TV, free Wi-Fi, a minibar, desk and safe and the en-suite bathroom comes equipped with a shower and Molton Brown toiletries. Italian liqueurs, specialty coffee and select teas from the famous Østerlandsk Thehus tea shop can be enjoyed in the hip lobby lounge. Guests can also relax on the terrace or rent a bicycle and explore the city. This luxurious Radisson Blu Waterfront Hotel (4 star) is ideally positioned next to the Stockholm Waterfront Congress Centre and the Central Station. The hotel boasts fine dining and panoramic city views, in addition to offering free Wi-Fi and gym access. Each of the hotels 414 modern, air-conditioned guest rooms at Radisson Blu Waterfront Hotel have a seating area and a flat-screen TV with cable channels. Some include a Nespresso machine. Guests can relax by the fireplace in the lobby bar and the in-house RBG Restaurant, Bar & Grill has a cocktail bar and serves Swedish and international cuisine. The Clarion Hotel Grand Ostersund (4 star) is centrally located in Östersund, just 400 yards from the Östersund Västra Train Station. The hotel offers guests free WiFi and use of the hotel’s pool and sauna. The hotel’s 176 rooms each feature a flat-screen TV, work desk and seating area. Kitchen & Table is a restaurant concept by renowned Swedish chef Marcus Samuelsson. The Lobby Bar serves cocktails, wines, locally brewed beers and a variety of snacks. Guests can also take advantage of the hotel’s fitness centre and on-site bicycle rentals. Clarion staff can recommend several restaurants, cafés and shops within walking distance. The Hotel Scandic Gallivare (3 star) is ideally situated in central Gällivare, just a short walk from Gällivare Train Station. Each of the hotel’s 80 rooms feature modern décor, a flat-screen TV, free WiFi access and a seating area, with the en-suite bathrooms offering bathrobes and complimentary toiletries. Guests can relax at the hotel's spa, which includes a sauna and indoor pool, or on the sun terrace. A dinner buffet is served from Monday until Thursday at the in-house restaurant, light meals are available every day in the lobby bar and breakfast is served each morning in the dining room. Opened in 2012, the Scandic Hotel Narvik (4 star) is one of Norway's tallest and most distinctive buildings, and offers fine views of the surrounding mountains. Its facilities include a restaurant, a sky bar and terrace on the top floor, and a well-stocked gym. Each of the hotel’s 148 rooms feature amenities such as a television, minibar, telephone and hairdryer. The Clarion Hotel & Congress Trondheim (4 star), opened in 2012, is ideally located close to the harbour in central Trondheim. The hotel offers free Wi-Fi and a stylish 9th-floor skybar with Trondheim Fjord views. The hotel’s 400 rooms all offer a flat-screen TV, minibar, tea/coffee making facilities, air conditioning and city or fjord views. The Living Room provides a lounge setting with an à la carte dining menu. It hosts occasional events, such as art exhibitions, fashion shows and food tastings. Located on the edge of the beautiful Geirangerfjord, the Union Hotel (4 star) features a lounge, two restaurants, three bars and a terrace serving light snacks and drinks, where guests may enjoy the magnificent views over the fjord. The hotel also has an indoor pool, sauna, Turkish bath, an outdoor pool (seasonal), a spa offering various therapies and treatments (payable locally) and a fascinating vintage car museum. The hotel’s 197 rooms are comfortably furnished and feature a telephone and television. The Thon Rosenkrantz Hotel (4 star) is ideally located in central Bergen, just a short walk from Bryggen Wharf and the Fløibanen Furnicular. Each of the hotel’s 129 rooms are equipped with a 48-inch TV with Smart TV function, Bose music system, free WiFi access and a minibar. Guests can relax in the guest lounge and benefit from complimentary beverages from the Nepresso coffee maker, newspapers and fresh fruit. A free light evening meal is also provided in the lounge from Sunday until Thursday and drinks are available in the lobby bar. There is a fitness centre available and the hotel has a 24-hour reception for guest’s convenience. The Flamsbrygga Hotel (3 star) is ideally located a short walk from Flåm’s dock and train Station. Each of the hotel’s 40 rooms have a balcony offering views of the Aurland Fjord and the mountains and feature Norwegian pinewood panelling, tea/coffee facilities, free WiFi access and have private bathrooms with a shower. The on-site Ægir Bryggeri Pub & Banquet Hall is located in a traditional Norwegian building, and brews its own beer. The stylish Hotel Rosenkrantz (4 star) is well situated in the heart of Oslo, and being close to the metro network is also ideally located for exploring all of the Norwegian capital’s sights. The trendy, colourful rooms come with facilities including free Wi-Fi, smart TVs, Bose sound systems and minibars. The hotel’s other amenities include the popular restaurant and fitness centre with a view over the city. These is also a guest lounge which overlooks the Royal Palace Park. Housed in a striking building dating back to the 1920s, the popular family-run Hotel Europäischer Hof (4 star) enjoys a superb location close to the main railway station and within easy reach of Hamburg’s attractions. It many amenities include access to a spa with indoor pool, whirlpool tub, sauna and fitness centre, as well as a selection of restaurants and a lounge/bar. The comfortable rooms are equipped with facilities such as free Wi-Fi, minibar and flat-screen TV.